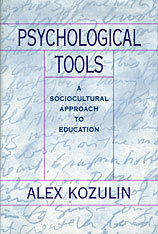 The concept of “psychological tools” is a cornerstone of L. S. Vygotsky’s sociocultural theory of cognitive development. Psychological tools are the symbolic cultural artifacts—signs, symbols, texts, formulae, and most fundamentally, language—that enable us to master psychological functions like memory, perception, and attention in ways appropriate to our cultures. 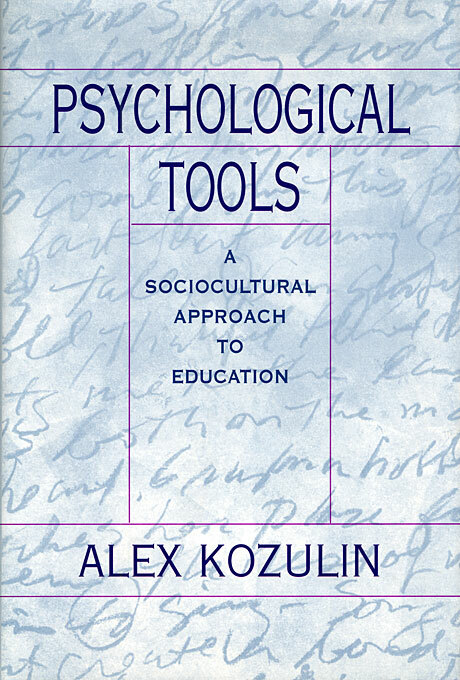 In this lucid book, Alex Kozulin argues that the concept offers a useful way to analyze cross-cultural differences in thought and to develop practical strategies for educating immigrant children from widely different cultures. Kozulin begins by offering an overview of Vygotsky’s theory, which argues that consciousness arises from communication as civilization transforms “natural” psychological functions into “cultural” ones. He also compares sociocultural theory to other innovative approaches to learning, cognitive education in particular. And in a vivid case study, the author describes his work with recent Ethiopian immigrants to Israel, whose traditional modes of learning were oral and imitative, and who consequently proved to be quick at learning conversational Hebrew, but who struggled with the reading, writing, and formal problem solving required by a Western classroom. Last, Kozulin develops Vygotsky’s concept of psychological tools to promote literature as a useful tool in cognitive development. With its explication of Vygotsky’s theory, its case study of sociocultural pedagogy, and its suggested use of literary text for cognitive development, Psychological Tools will be of considerable interest to research psychologists and educators alike.